BASE Entertainment Asia is proud to announce the return of everyone’s favourite little red-headed orphan to Singapore in time-honoured form. 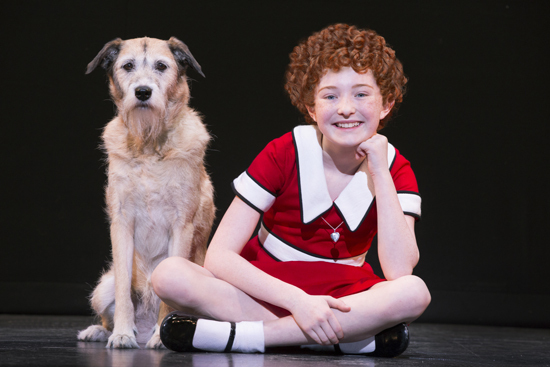 The U.S. National Tour of ANNIE, now in its second smash year, will play at The MasterCard Theatres, Marina Bay Sands from 24 August 2016 for a limited season. Directed by original lyricist and director Martin Charnin for the 19th time, this production of ANNIE is a brand new physical incarnation of the iconic Tony Award®-winning original. Inspired by the famous comic strip Little Orphan Annie which first ran in the New York Daily News in 1924, this uplifting rags-to-riches story of plucky young Annie’s journey from the hard-knock New York orphanage to the luxurious home of billionaire businessman Oliver Warbucks, has become one of the best-loved family musicals of all time. 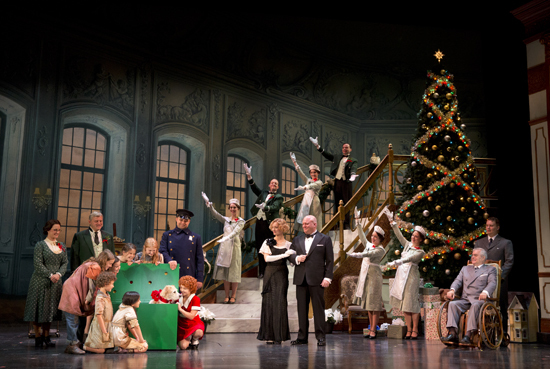 The beloved score for ANNIE includes “Maybe”, “It’s the Hard Knock Life”, “You’re Never Fully Dressed Without a Smile”, “Easy Street”, “I Don’t Need Anything But You” and the eternal anthem of optimism, “Tomorrow”. 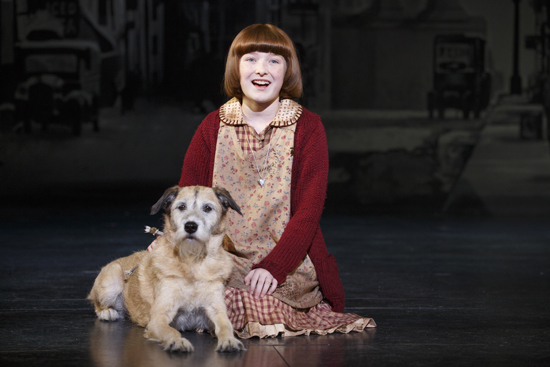 ANNIE remains one of the biggest Broadway musical hits ever. The original production opened 0n 21 April, 1977 at the Alvin Theatre where it ran for 2,377 performances before closing in 1983. The show dominated the Tony Awards that year, winning seven awards in total including Best Musical, Best Book (Thomas Meehan), Best Original Score (music by Charles Strouse and lyrics by Martin Charnin), and Best Choreography . 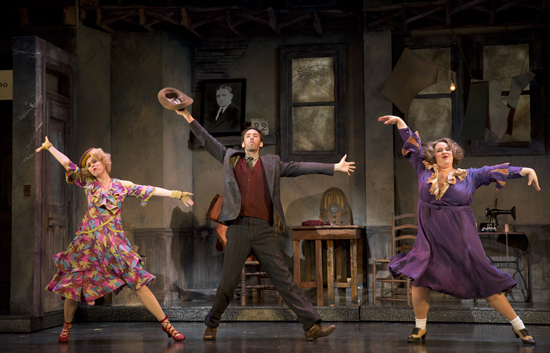 It also won the New York Drama Critics Circle Award for Best Musical, seven Drama Desk Awards including Best Musical, and the Grammy for Best Cast Show Album. It has since been performed in 28 languages and has been running around the world for 37 years. The classic film musical was released in 1982. 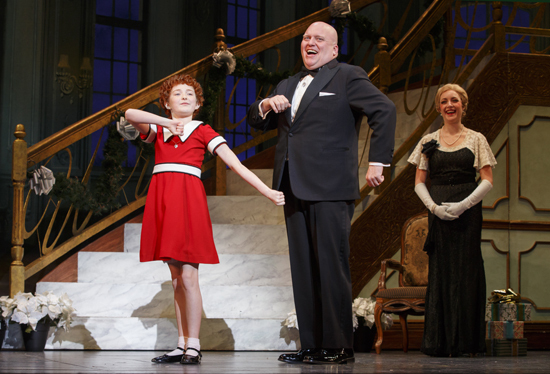 The production features a 25 member company: in the title role of Annie is Heidi Gray, an 11-year-old actress from the Augusta, GA area, making her tour debut. Gilgamesh Taggett stars as Oliver Warbucks. In the role of Miss Hannigan is Lynn Andrews. Also starring in the tour are Ashley Edler as Grace, Garrett Deagon as Rooster, Lucy Werner as Lily and Jeffrey B. Duncan as FDR. The orphans are Sage Bentley as Tessie, Angelina Carballo as Kate, Lynn Masako Cheng as Duffy, LillyBea Ireland as Pepper, Bridget Carly Marsh as July and Alyssa Emily Marvin as Molly.